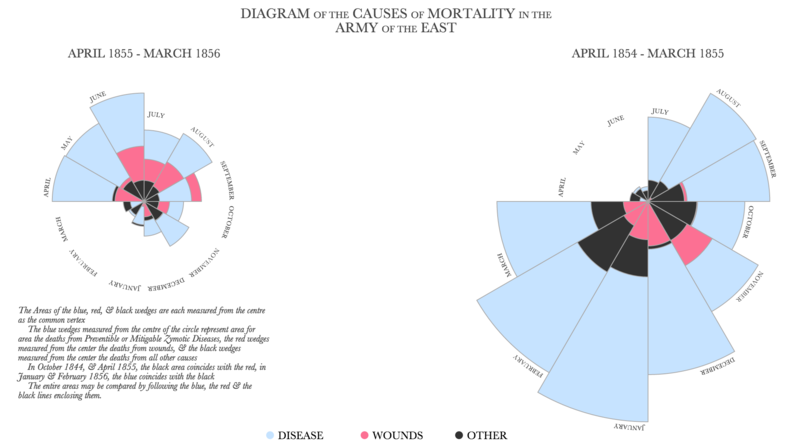 Dataset for Florence Nightingale's famous polar area diagram. Returns dataset for Florence Nightingale's famous polar area diagram. // As done by Nightingale, calculate the average annual mortality per 1000 for each cause. See http://understandinguncertainty.org/node/214. Nightingale, Florence. 1859. A contribution to the sanitary history of the British army during the late war with Russia. London, United Kingdom: John W. Parker and Son.